We all know there is no such thing as perfect. 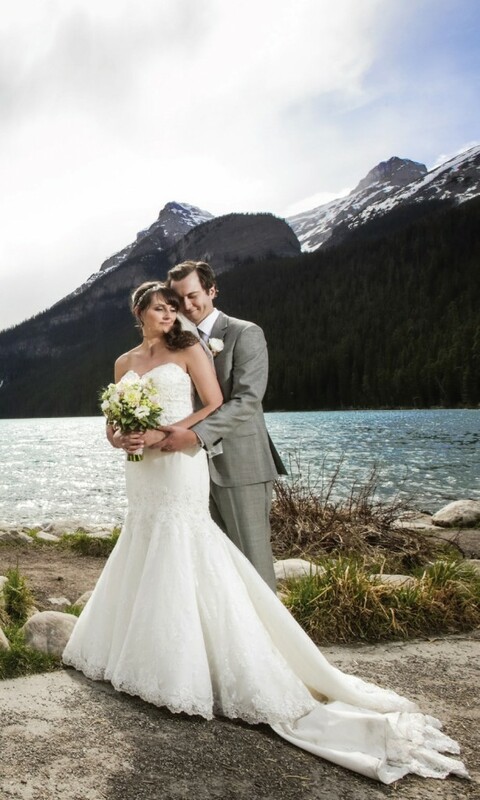 All great ideas have their challenges and planning a wedding in one of Alberta or British Columbia’s mountain parks is no exception. As Miguel de Cervantes said, “To be prepared is half the victory,” and here at Reflections Weddings and Events we thoroughly agree and want to do our part in helping you fully prepare for the challenges of a mountain wedding. Many couples choose long weekend or holiday wedding dates as they think their guests will make a mini vacation out of staying in the mountains. This is usually a correct assumption, but your guests are not the only ones thinking a little getaway would be nice on a long weekend. Half of western Canada is going to be joining you! Okay, maybe that’s an exaggeration but you get my point: this could result in difficulty booking hotels, or at the very least the nightly rates will be higher. The other concern with a long weekend wedding is increased traffic which could lead to travel delays for your guests (or worse, your vendors) who are coming in from out of town. The increased traffic could also result in delays throughout the day as you move from location to location, if you are not having your ceremony and reception at the same venue. – Choose a normal weekend. While at first a long weekend can seem like the thoughtful choice (“our guests won’t have to take a day off work”), the pros do not outweigh the cons. – There are not as many venue options in the mountain parks as in the city, so it is much better to go into your planning with flexibility on your date. 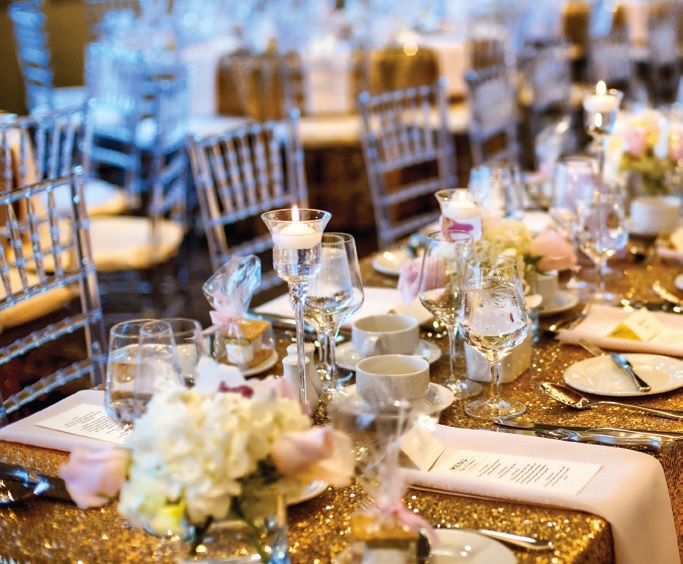 Choose the venue that best suits your needs, wants, and style, and then select a date based on its availability. 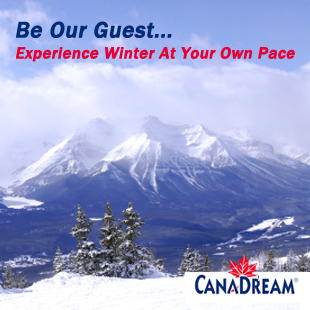 – Because mountain towns are resort towns, some hotels do offer low season rates. If you are concerned about budget, or just want a “winter wonderland” wedding, this is an option for you. While some of your guests might revel in a mountain getaway, others might find it an inconvenience. They will need to book a hotel for at least one night, families with young children may need child care, and there are the added costs of a park pass (for Banff and Lake Louise), travel, parking, and the additional meals. – Hotels do offer group rates, so make sure you book a block of rooms and let your guests know that they will get a discount. – If you’ve chosen to have your wedding at the Banff Springs, the Rimrock Resort, or Chateau Lake Louise, look into more affordable accommodations for your guests. – Set up a babysitting service at the reception for young children. – To offset the cost to your guests, you can let them know that you are not expecting a gift beyond their company. It is also considerate to work an open bar into your budget when you are asking guests to travel out of town. There are many amazing local vendors in Canmore and Banff, however, you might fall in love with a photographer, planner, designer, or officiant who does not live in one of these towns. Make sure that the vendors you hire have the proper licenses for the town or even the venue that you have chosen. Canmore does not require a separate operating (business) license, but Banff and Lake Louise do, with some small nuances such as the Rimrock Hotel which requires a Parks Canada license but not a town of Banff license. Hiring vendors with the proper licenses ensures that there won’t be a problem with them being able to do their job on your special day, and it’s a good indication that they have been involved with mountain weddings before and are familiar with any challenges that may arise. – If possible hire local vendors. – If you are bringing vendors in from out of town, be sure they have done weddings in the mountains and are familiar with licensing laws and the specific logistics of your venue(s). An outdoor wedding was the ultimate desire of many brides long before the Style Me Pretty blog existed, and those wanting a mountain wedding are no exception. This is all well and good, but the mountain parks can be cold with unpredictable weather changes. Nope, I don’t care that your wedding is in August, it could still snow… really! Now before you give up all hope, here are your options: an outdoor mountain ceremony is certainly possible, but an outdoor mountain reception? The costs and logistics to make that happen are simply not worth it. And even if you are not doing an outdoor wedding, the weather can affect travel for your guests, your vendors, and even you. And on the opposite end, if the weather is fantastic it may mean a lot more tourists and traffic. – Have a Plan B and a Plan C. This is even more important if you are having an outdoor ceremony. Make sure your reception venue has a backup location. – Hire a Coordinator. In the event that plans need to change due to the weather, who is going to inform guests, move the décor, and let the sting trio know they need be at the hotel and not in the park? A wedding coordinator takes care of all these details. 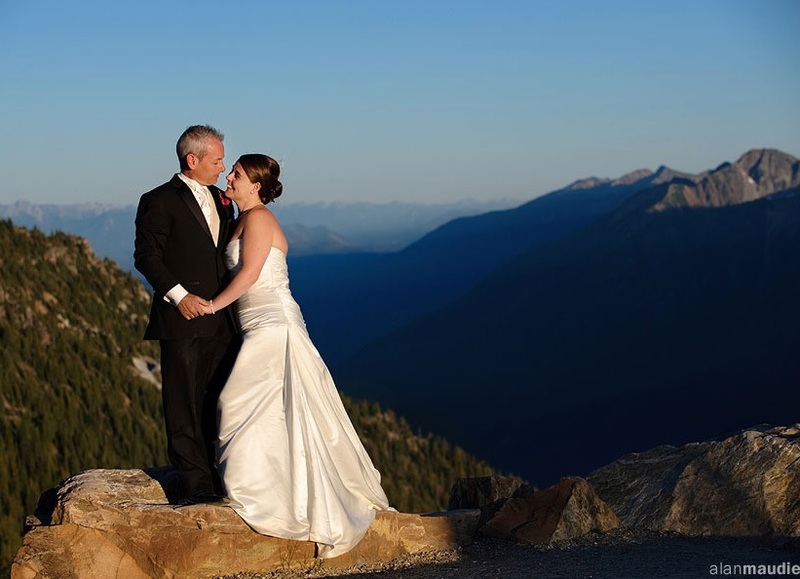 All things considered, we love mountain weddings! The scenery and atmosphere alone have us saying “yes” to all the brides who come our way with this dream. Knowing the challenges up front and being proactive about them will result in the most amazing day of your life!